The Guam Museum opened in November 2016. A long-held goal of a permanent facility for education about indigenous Chamorro culture was more than 90 years in the making. The canopy in the center resembles the top half of a “sling stone,” an oval rock made from coral or basalt that could be used for hunting or as a weapon. This is the 11th in a series about my March 2018 trip to Guam, and Okinawa and Tokyo, Japan. See my April 1 discussion of Navy man George Tweed’s ability to elude capture by Japanese soldiers for more than two years on Guam in World War II; April 8 about Okinawan food specialties, and visits to a market and area known for its pottery; April 15 about the sinking of Japan’s Tsushima Maru and the deaths of hundreds of schoolchildren during WWII; April 29 about photographing newlyweds after their Shinto ceremony; May 14 about the WWII destruction of Shurijo Castle; May 21 about making soba noodles from scratch at a cooking class in Naha; June 16 about Peace Memorial Park, a former WWII battlefield and now a sprawling complex that commemorates the Battle of Okinawa; June 27 about the sister cities of Naha, Okinawa and Fuzhou, China and their shared bond celebrated at Fukushuen Garden; July 22 about the former Japanese Navy Underground Headquarters in Okinawa; and August 15 about WWII-related sites on Guam. Long before there was a light-filled, purpose-built museum, the dream of a permanent place to honor and explore the history, art and culture of the Chamorro people of Guam had taken hold. As early as 1926, local physician and teacher Ramon Sablan was encouraging friends and residents to start putting aside the artifacts they found around the Pacific island related to the indigenous Chamorros, and suggesting that a museum would one day house items such as fishhooks, pottery, latte stones (pillars), tools and much more. The number of artifacts grew through the decades — some were stored for a time at the Bishop Museum in Honolulu, Hawaii — and were displayed at a wide variety of locations, weathering disasters man-made (World War II) and natural (typhoons). Finally, in 2005, a task force moved ahead to plan the construction of a facility for a collection that now numbered about 250,000 artifacts, photographs and documents. A foundation also helped propel the building closer to reality, but it still took until 2014 for construction to begin in Hagåtña, Guam’s capital, with funding from a $27 million bond issue. The museum, which opened in November 2016 at Skinner Plaza, is across from the Plaza de España, site of the brief (and only) battle between the badly outnumbered Chamorro Insular Force Guard against the Japanese invasion of December 10, 1941, during World War II (see my previous post). It’s also kitty-corner from the Dulce Nombre de Maria Cathedral Basilica, the first Catholic church on Guam, dating to the late 1660s. The current building was erected 1955-59, replacing the church that was destroyed by shelling in WWII. The facade of the Guam Museum features two upright facing pages of an open book — signifying that this is a place of learning and education — joined by a central 65-foot cutout canopy that shades the upper level atrium. Depending on the time of day, square- or diamond-shaped shadows are cast onto the floor, as if light were shining through a jungle tree canopy, a tribute to the island’s untamed natural environment. The openness also signals the hospitality of the Chamorro people. A closer look at one of the figures dressed as a Chamorro would have been in earlier times. The words displayed on the right facade page (as you face the building) were uttered by the great chief Hurao, a Chamorro who rallied thousands of his people in the 1670s against Spanish missionaries. Hurao was captured and released, but at a meeting to discuss peace in May 1672, the chief was killed, shot in the back by a Spanish soldier. Jesuit Diego Luis de San Vitores (1627-1672) was the first missionary to arrive in 1668, and he died four years later, according to Spanish accounts, after baptizing the sick daughter of chief Matå‘pang against his wishes. Outraged, Matå’pang drafted a warrior to kill San Vitores. A clash of cultures, competing religious influences and encroaching colonial subjugation begat the drawn-out, intermittent Spanish-Chamorro War. The fighting continued into the 1680s, with the Chamorros eventually vanquished and the Spanish in control until their defeat in the Spanish-American War in 1898, when Guam, Puerto Rico and the Philippines were ceded to the United States. Two similar statues stand in front of the museum, each dressed in a loincloth and his hair pulled into a topknot, a style known far and wide in the Pacific islands, all the way to Easter Island (aka Rapa Nui) off the coast of Chile. I sent an email to the museum, asking if these were specific historical figures, but did not receive an answer. I’ll update this post if I hear back later. Delegations attending Festpac 2016, the Festival of Pacific Arts, contributed panels to this quilt. Guam’s entry is on the second row, third from right, a replica of the great seal of the U.S. territory. When I visited, a temporary exhibit (since closed) called “Treasures of Festpac,” the Festival of Pacific Arts, was mounted. Held every four years, the gathering showcases traditional, literary, visual and performing arts of Pacific islanders, with workshops and seminars discussing such topics as indigenous language and genealogy. A carved wooden paddle from Easter Island, with a Cult of the Birdman figure and a fish on the blade, sits next to a scale replica (right) of a men’s longhouse from Palau. See my September 10, 2017 post to learn more about the birdman petroglyphs on Easter Island. For the 14-day May-June 2016 celebration in Guam, the theme was “What we own, what we have, what we share — United Voices of the Pacific.” More than 3,000 delegates representing 24 nations and territories, from American Samoa to Wallis and Futuna (an overseas territory of France, west of Samoa), took part. The exhibit was marvelously colorful and diverse, spanning such creative arts as: a carved wooden paddle with eyes and petroglyph replicas, from Rapa Nui; clay-figure columns sprouting human heads and faces, from New Zealand; wall-size, vegetable-dyed woven bark cloth, from Fiji; large, laced-together bamboo pan pipes, from the Solomon Islands; and lots of photographs of traditionally dressed dance troupes and other artisans at work during the festival. In the front case, the latte-stone replicas made from wood were part of the “unity project” for the festival. The one on the left is from Tokelau, a group of atolls in the South Pacific Ocean, and a territory of New Zealand. The one on the right is from Norfolk Island, situated between Australia, New Caledonia and New Zealand, and a territory of Australia. A carved “unity project” paid tribute to the host island, in the form of individually decorated lattes, an architectural element some believe is unique to the Mariana Islands. Chamorros used these capstoned pillars (not unlike the shape of mushrooms but with much thicker “stems”) sometimes as tall as seven feet and positioned in parallel rows, to form building supports, upon which a steep, thatch-roofed living space was lashed. The latte icon is widely seem around Guam, and nowadays signifies strength and a connection to Chamorro history. I watched a YouTube short, in which a camera tours what looks to be a very interesting and informative exhibit, a long time in the making. The museum has a 156-seat theater and the capacity to screen films for public gatherings in the rear expansive outdoor space, also suitable for concerts. Its museum shop stocks books, island-crafted goods (i.e. jewelry, carvings and cards) and the usual T-shirts and tote bags. A very small cafe also highlights locally made products. The official name is the Senator Antonio M. Palomo Guam Museum and Chamorro Educational Facility, though I doubt many call it that on a regular basis. Senator Palomo, a politician, historian, journalist and author, was also a former administrator (1995-2007) of the Guam Museum before it occupied its striking new home. This is the 10th in a series about my March 2018 trip to Guam and Okinawa and Tokyo, Japan. See my April 1 discussion of Navy man George Tweed’s ability to elude capture by Japanese soldiers for more than two years on Guam in World War II; April 8 about Okinawan food specialties, and visits to a market and area known for its pottery; April 15 about the sinking of Japan’s Tsushima Maru and the deaths of hundreds of schoolchildren during WWII; April 29 about photographing newlyweds after their Shinto ceremony; May 14 about the WWII destruction of Shurijo Castle; May 21 about making soba noodles from scratch at a cooking class in Naha; June 16 about Peace Memorial Park, a former WWII battlefield and now a sprawling complex that commemorates the Battle of Okinawa; June 27 about the sister cities of Naha, Okinawa and Fuzhou, China and their shared bond celebrated at Fukushuen Garden; and July 22 about the former Japanese Navy Underground Headquarters in Okinawa. One of the most far-flung outposts of America is nearly 8,000 miles as the crow flies from the East Coast of the United States. It takes almost 24 hours of flight and connection time to get there from the mainland — and that’s without any weather, equipment or miscellaneous delays. The island of Guam, among the most remote places on Earth, is “where America’s day begins,” 15 hours ahead of Eastern Standard Time sunrise in New York. Since 1898, when Guam was ceded to the United States after the Spanish-American War (of “remember the Maine” fame), along with Puerto Rico and the Philippines, the island has been of strategic importance to the U.S.
Never more so than during World War II, when Guam, the largest and southernmost of the Mariana Islands in the North Pacific, served as a launching point for American B-29 bombing runs over Japan in late 1944 and into 1945. Japanese artist Kohei Ezaki depicts “The Capture of Guam” on December 10, 1941. This painting is at the War in the Pacific National Historical Park visitor center. But that was only after Guam endured nearly 31 months of Japanese occupation, which extracted a heavy toll on the indigenous Chamorros, before Americans retook the island in August 1944. More recently, Guam was in the news as a target for Kim Jong-un, who threatened last year to launch ballistic missiles at the island amid rising tensions with the U.S. over North Korea’s nuclear program. Today, this tropical island, 36 miles long and about 6.5 miles wide with 80 miles (125.5 kilometers) of coastline, is home to about 167,000 people. Chamorros and Filipinos make up the two largest ethnic groups. Its beautiful beaches, dramatic coastline, abundant water sports, recreational possibilities and plentiful sunshine entice tourists, especially those from Asian countries for whom the destination is only about a three- to four-hour flight. Of the 1.54 million who visited last year, 684,443 came from South Korea, followed closely by 620,547 from Japan, and in a distant third place, the U.S. with 77,058, according to the Guam Visitors Bureau website. This total figure was an all-time high. I went to Guam to visit family serving in the Navy, but also with the intent of learning more about the island’s experience during WWII, and seeing a bit of the rugged landscape up close. The Imperial Japanese Navy Ko-Hyoteki (Target A) Hei Gata (Type C) midget submarine is believed to be the only one of its kind still in existence. It was captured in 1944. It sits outside the T. Stell Newman Visitor Center, part of the War in the Pacific National Historical Park in Guam. The War in the Pacific National Historical Park visitor center gives an excellent overview of the Pacific campaign, and the Japanese invasion and occupation of Guam, through videos, information panels, photographs and maps. Within hours of the surprise attack on Pearl Harbor, Hawaii, on December 7, 1941, the Japanese bombed Guam and Wake islands and the Philippines. On December 10, a Japanese naval party of about 400 and an Imperial Army unit invaded Guam at more than five locations. They were met with little resistance because there were only 805 residents who were active military or had any defensive training: 153 Marines, 271 U.S. Navy personnel, 134 civilian construction workers and 247 members of the Chamorro Insular Force Guard. The Chamorros of the Insular Guard were not only badly outnumbered, they had very little equipment: three machine guns and Springfield bolt-action rifles for the 30-minute fight against the Japanese in the tree-lined Plaza de España. The white memorial (center) commemorates their efforts. Today the plaza is the site of the inauguration of the governor of Guam, and other civic and social activities. The figure in the median in front of the memorial is a likeness of Pope John Paul II, who visited Guam for 18 hours in February 1981. The Insular Guard tried unsuccessfully to hold off the Japanese in the capital of Agaña (now spelled Hagåtña) at the Plaza de España. All that remained was for U.S. Navy Captain George McMillin, who served as the island’s governor, to surrender. Most of the American military and civilian personnel, and American and Spanish clergy were relocated to Japan as POWs in January 1942. The Imperial Army imposed harsh conditions on the locals as they had in other conquered countries across Asia. They renamed the island Omiya Jima (Great Shrine Island), demanded the Chamorros learn to speak Japanese, changed the local currency to yen and forced the observance of Japanese customs such as bowing. The Japanese were particularly brutal to Chamorros accused of hiding family members or Americans, a few of whom had escaped to the interior after the invasion (see April 1, 2018 post about Navy man George Tweed). They were tortured, and in some cases executed, or died from their injuries. Chamorros and Koreans performed forced labor — sometimes at bayonet point — on farms, airfields and in dense jungle, where fortifications were dug into caves as defensive positions, as was the case on other islands such as Okinawa. As the Allies’ Pacific Island campaign intensified, momentum swung away from the Japanese, now with only 18,500 defenders on Guam. In early July 1944, without explanation, up to 15,000 Chamorros of all ages were force-marched to seven concentration camp sites in central and southern areas. They had little in the way of provisions or shelter, and these conditions surely accelerated their overall death toll. However, this move took the islanders out of harm’s way before the two-week, pre-assault bombardment by the U.S. Navy commenced. On July 21, 1944, U.S. troops numbering about 55,000 landed on west-coast beaches at Agat (in the south) and Asan (farther north). Over the next 20 days of fighting, troop movement generally progressed north and east. On August 10, Guam was secured. American forces sustained about 7,000 casualties (about 1,800 dead, not counting 800 Guamanians). Japanese deaths numbered about 17,500, with about 1,000 taken prisoner. Over the next six months, a rapid buildup of men (up to 150,000 sailors) and materiel changed Guam into a military powerhouse, with the resources to propel what appeared to be a rapidly approaching invasion of the Japanese home islands. Panels on the Liberators’ Monument at the Asan Beach Unit pay tribute to the Chamorro Insular Guard and U.S. forces, including the 3rd Marine Division, 1st Provisional Marine Brigade and the 305th Regimental Combat Team of the 77th Army Division who fought to retake Guam in July-August 1944. That’s the Guam territorial flag flying to the right of the Stars and Stripes. I visited three of the park’s seven units, under U.S. National Park Service administration. At the Asan Beach Unit, where the 3rd Marine Division landed and the Navy bombarded from offshore, Liberators’ Monument commemorates U.S. military and Guam Combat Patrolmen who helped retake the island. The memorial’s installation in 1994 coincided with the 50th anniversary of the battle at Asan Point. A bit east of the intersection of Marine Corps Drive and Highway 6 lies the Piti Guns Unit, near a nondescript church off a residential road. One of the three Japanese coastal defense guns at the Piti Guns Unit of the national park. They were not operational during WWII. A quarter-mile trail winds through a dense mahogany forest — mahogany and teak were introduced on Guam in 1928 to replace native hardwoods — to reveal three Japanese coastal defense guns. This site, which in 1944 was on steep terrain among rice paddies, was selected for its ocean view. The Japanese 140mm-equivalent guns, with a range of about 10 miles, were intended to fire at ships and landing craft. Weighing thousands of pounds, the weapons were lugged to Piti by overworked Chamorros. But in a life-saving twist, none of the guns was ever fully operational and fired not one salvo during the war. Japanese citizens paid for the construction of the 50-foot-high praying hands, the Queen of Peace Chapel and the surrounding park to honor their war dead. In the basement of the tower is an ossuary. The park was completed in May 1970. As I mentioned, thousands of Japanese soldiers died in 1944. Their sacrifice is commemorated at the South Pacific Memorial Park, in the north-central part of the island near the village of Yigo, in a quiet setting meant to promote peace and reconciliation. Opened in May 1970, it is privately owned by the South Pacific Memorial Association, comprised mainly of Japanese citizens, who paid construction costs and for the site’s upkeep. No impediments block the way for visitors on foot from the small parking area. Its centerpiece is a 50-foot-tall, white memorial that resembles two modernistic upswept palms pressed together in prayer. Several commemorative stones are nearby, but much of the explanation is in Japanese, as is the brochure I picked up in the Queen of Peace Chapel. Mataguac Hill, rising 120 feet in the background, shadows four concrete-reinforced caves — one with a spring — and thick vegetation, where Japanese troops mounted a futile counterattack against U.S. Naval bombardment and a tank-supported assault by a battalion from the 77th Infantry Division. With defeat looming, it was here that Lieutenant Hideyoshi Obata, commander of the Imperial Army’s 31st Division, committed suicide at sunrise on August 11, 1944. Two American military bases occupy nearly 30 percent of the island: Andersen Air Force Base in the north, and Naval Base Guam on the southwest coast in Apra Harbor. Together they form Joint Region Marianas, with about 7,000 military personnel and nearly that number of family members in residence. The military is second only to tourism as a source of revenue for the local economy. The air base dates to late 1944, largely constructed after U.S. forces retook the island. It was the takeoff point for conventional bombing of Tokyo and other Japanese cities late in WWII. The naval base was established in 1898. Today, four nuclear-powered fast attack submarines call Guam home, as do two submarine tenders. During the Vietnam War, B-52s flew to Southeast Asian targets from June 1965 until the end of the war. Guam was also a stopover for military personnel heading to South Vietnam. More than 109,000 refugees were also evacuated through Guam after the war ended. To visit the naval base, you must have an authorized sponsor and pass a background check. Bring identification such as a passport, and follow instructions at the Visitor Control Center. No photography is allowed. For the air force base, groups are welcome. See the website to obtain a pre-visit form. South Pacific Memorial Park, open 8 a.m. to 5 p.m. daily. Free. 678 Milalek Drive. spmaguam.org (in Japanese). Rich, moist and not overly sweet, zucchini bread is satisfying any time of day. In the batter, you’ll easily be able to see the zucchini slivers, but the vegetable is less noticeable after the loaf is baked. Do you dread that mid-August knock at the front door, where you discover your smiling neighbor standing on your landing … and his/her basket brimming over with summer squash? You return the smile, chat briefly, politely accept the vegetables, and conjure up the most sincere “thank you” that you can manage. Or did you get a little carried away at your local grocery or farmers’ market, seduced by the season-low prices on the sunshine-yellow crookneck squash and the greener-than-grass zucchini? Even with their high water content, crookneck squash and zucchini (or courgette, for our international readers) will keep five to seven days in the refrigerator before becoming mushy and unusable. The crookneck squash, if its graduated neck has an exaggerated curve leading to its bulbous body, reminds me of a wingless swan or duck. Can’t you picture the light-green stem end as a beak? Or a group of small squash huddled together as a flock? A quick side dish of crookneck squash, kidney beans and other vegetables is loaded with nutrition. You can thinly slice or dice the veggies and toss them raw into a fresh salad. Or pop them into the microwave or steamer for a quick side dish that can be dressed up in myriad ways. All methods preserve the nutritional benefits from these veggies rich in vitamins A and C and niacin. But, with just a bit more time and effort, you can make many much more memorable recipes and get to work on reducing the amount of summer squash that’s taken over your kitchen. This recipe for zucchini bread is among my all-time favorites. I’ve made it many times over the years and have never been disappointed. Its moist, ultra-dense crumb will have you licking your fingers and eyeing a second piece. Its dominant spices — cloves and cinnamon — always make me think of fall, and drier, crisper days ahead. As the loaf bakes, the batter darkens considerably from a light tan flecked with grated zucchini to a deep hickory, which nearly obscures the veggie slivers. And though it’s recommended that you don’t eat batter when it contains raw eggs, you’ll be tempted to try at least a little taste. The crookneck squash side dish prep is faster than making the zucchini bread. To stretch it as a main course, serve it over pasta or rice. And when next your neighbor comes knocking, he/she will probably be trying to foist an overload of tomatoes on you. Fortunately, they pair well with summer squash too. If freezing the zucchini bread, wrap first in plastic and then in aluminum foil. In a large mixing bowl, beat eggs, oil, sugar and vanilla until light and thick. Fold grated zucchini into oil mixture. Fold in the pecans until just combined. Bake on the oven’s middle rack. The muffins will be ready in 25-30 minutes. A toothpick inserted in the center should come out clean. The loaf should bake for 1 hour, 10 minutes to 1 hour, 15 minutes. Again, a toothpick inserted in the center should come out clean. Cool slightly. Run a blunt knife around the inner edge of the loaf pan, and flip it out; be careful, the loaf will be hot! Let loaf cool completely on a rack, right-side up. Likewise, remove the muffins from the tin and let cool. The flavors in the zucchini bread deepen when left to meld overnight. But if you can’t wait, the loaf is delicious as is. The loaf will store wonderfully in the freezer for up to two months. When completely cool, wrap tightly in plastic. Then enclose the loaf in aluminum foil. As an entree, serve the squash and vegetable combination over pasta or rice. Heat olive oil in a large skillet over medium-high heat. When hot, add onion and bell pepper and sauté until they soften, about 3-5 minutes. Add squash and beans and cook about 5 minutes, until squash softens. Stir in Rotel tomatoes and cook 1 minute. Mix in dried red pepper flakes, if using. Stir in basil, if using, and salt and pepper. Taste and adjust seasoning, as needed. The building in the center has become known as the “Atomic Bomb Dome.” Before the detonation of the atomic bomb on August 6, 1945, it was the Hiroshima Prefectural Industrial Promotion Hall. The people inside died instantly and the interior was destroyed by fire. I took this photo in 1986. Since then, some work has been done to preserve the building and its steel skeletal dome. © 2018 text and photo; others credited. All rights reserved. For a discussion of the second atomic bomb, dropped over Nagasaki, Japan, see my post from August 9, 2016; and for a lighter take on Nagasaki’s attractions, see August 15, 2016. “Results clear-cut. Successful in all aspects.Visible effects greater than Alamogordo. Conditions normal in airplane following delivery. Proceeding to base.” — Coded message sent by Captain William “Deak” Parsons, who armed the atomic bomb nicknamed “Little Boy” in flight, as the B-29 Enola Gay headed to its target: Hiroshima, Japan. The post-bombing message was sent to Brigadier General Thomas Farrell, Deputy Commanding General of the Manhattan Project, who was on Tinian Island, from where the Enola Gay had taken off about six hours earlier. The four-engine B-29 Superfortress that dropped the world’s first atomic bomb used in warfare on August 6, 1945, was itself almost defenseless. Superfortresses coming off production lines in four American cities had as standard equipment five remote-controlled gun turrets, quite an innovation at the time, and armor plating. Another technological advancement during World War II was that the B-29 was the first American plane equipped with two pressurized compartments, fore and aft, for its crew. But to make the Enola Gay, named for the mother of pilot Paul Tibbets, as light as possible to accommodate the weight of the 9,700-pound, uranium-enriched bomb, it had only two tail guns and no armor. “It was souped up and stripped down,” Art Hamilt, a guide and former naval aviator, told a small group of visitors in 2009, standing near the B-29 in the Smithsonian National Air and Space Museum’s Steven F. Udvar-Hazy Center in Chantilly Virginia, near Dulles International Airport. Specifically, about 7,200 pounds of armaments were removed, which Colonel Tibbets, commander of the 509th Composite Group, said would lessen the strain on the four-bladed- propeller-driven, 2,200 horsepower Curtiss-Wright engines. Today, the polished aluminum, 99-foot-long Enola Gay, with a wingspan of 141.3 feet, is as shiny as the day it came off the Glenn L. Martin Company’s production line in Omaha, Nebraska. It stands 27.8 feet tall, and has a Plexiglas nose and cockpit windows. Its restoration took nearly 20 years. The route that the Enola Gay flew from Tinian Island, in the Marianas chain in the Pacific, to Hiroshima, in the southwest part of Honshu, Japan’s largest island, was more than 1,500 miles. U.S. Navy Seabees had constructed six runways, each measuring almost two miles in length, making Tinian the largest air base in the world. On a clear, sunny morning, unsuspecting residents of Hiroshima were going about their usual routines: Children beginning their school day, merchants opening their shops, housewives walking to market, farmers tending their fields, and men and women settling in at their jobs. Some male students were heading to work at the munitions factory, its presence being among the reasons why Hiroshima was the target. Until this point in the war, the city of about 300,000 had been largely unaffected by conventional bombing. The mushroom cloud rises above Hiroshima, almost immediately after the blast. U.S. Army photo. Retrieved from the Library of Congress, http://www.loc.gov/item/2017659326/. About 70,000 died instantly in Hiroshima, with many thousands more succumbing in the ensuing days, months and years, victims of radiation poisoning, little known or understood at the time, and other related after-effects. More than 60,000 buildings at ground zero were obliterated, with heavy damage extending over a three-mile radius. Boeing’s design beat out Lockheed, Consolidated and Douglas, and the company produced two prototypes, the first of which set off from Boeing Field in Seattle on a test flight on September 21, 1942. Modifications and improvements continued as four plants turned out a total of 3,970 B-29s before ending production in 1946. Boeing contributed 2,766 from facilities in Renton, Washington, and Wichita, Kansas, where Tibbets flew some of the test flights; Bell built 668 in Marietta, Georgia; and Martin Company’s output was 536 bombers. Tibbets, who enlisted in the Army in 1937 and earned his pilot rating in 1938, had flown 43 combat missions over Europe and Africa. Since September 1944, he had known that he would be the pilot on the historic day, and was allowed to select his 11-man crew. They were Captain Robert Lewis, co-pilot; Major Thomas Ferebee, bombardier; Captain Theodore “Dutch” Van Kirk, navigator; technical sergeant Wyatt Duzenbury, flight engineer; first lieutenant Jacob Beser, radar countermeasures; technical sergeant George “Bob” Caron, tail gunner; Sergeant Joseph Stiborik, radar operator; Sergeant Robert Shumard, assistant flight engineer; private first class Richard Nelson, VHF radio operator; Captain William “Deak” Parsons, weaponeer and mission commander; and second lieutenant Morris Jeppson, assistant weaponeer, who inserted the final plugs before detonation. Widespread devastation in Hiroshima after the bombing of August 6, 1945. U.S. Army photo. Retrieved from the Library of Congress, http://www.loc.gov/item/2004669950/. At 8:15 a.m., Ferebee released the bomb over Hiroshima at about 31,000 feet. It fell six miles over 43 seconds, and then Little Boy exploded about 1,950 feet above the city. Beser, the radar man, was also aboard Bockscar, which dropped the plutonium-enriched bomb “Fat Man” over Nagasaki, making him the only individual to fly on both strike planes. After the war, the Enola Gay took part in an atomic testing program at Bikini Atoll in the Marshall Islands in the Pacific, but did not drop any nuclear bombs. It was in storage in Arizona for a few years before being transferred to Smithsonian stewardship in 1949. Its next stop was Texas, before being flown in late 1953 to Andrews Air Force Base in Maryland, where it sat outside, rusting, deteriorating and occasionally being vandalized, until August 1960. At that point, it was disassembled and moved indoors to a facility in Suitland, Maryland. Restoration began in December 1984, with specialists predicting a seven- to nine-year timeline for completion. The task, requiring nearly 300,000 work hours, far surpassed that estimate, and took nearly two decades, becoming the largest restoration project in the Air and Space Museum’s history. The Smithsonian’s website has 46 excellent photos that showcase the restored bomber, including interior and exterior shots. The Enola Gay is one of the star attractions at this Smithsonian branch, which opened in 2003, where more than 160 aircraft and more than 150 space artifacts are displayed in two huge hangars, many suspended from the ceiling. In addition, there are more than 1,500 smaller items, such as a full-scale replicas of the Mars Pathfinder lander and Sojourner Rover. The Udvar-Hazy Center is named for its major donor, the chairman and CEO of an international aviation firm. It draws about 1 million visitors a year, a fifth of the number who tour the better-known Air and Space Museum on the National Mall in Washington, D.C.
Bockscar, which was piloted by Major Charles Sweeney, is on display at the National Museum of the U.S. Air Force Museum near Dayton, Ohio. The Great Artiste was an observation aircraft on both missions. It was lost in a crash in Labrador in 1949. Its replacement resides outdoors, just inside the entrance gate at Whiteman Air Force Base, home of the 509th Bomb Group, in Knob Noster, Missouri. In many interviews given over the years, Tibbets (1915-2007) said he believed unleashing the atomic bomb was the right decision. Thirty years old at the time, he said he was “a military man following orders.” U.S. President Harry S Truman gave the command to use the atom bombs. Tibbets thought that employing such a powerful weapon would help end the war, and in the grand scheme of things, reduce the number of dead and wounded. 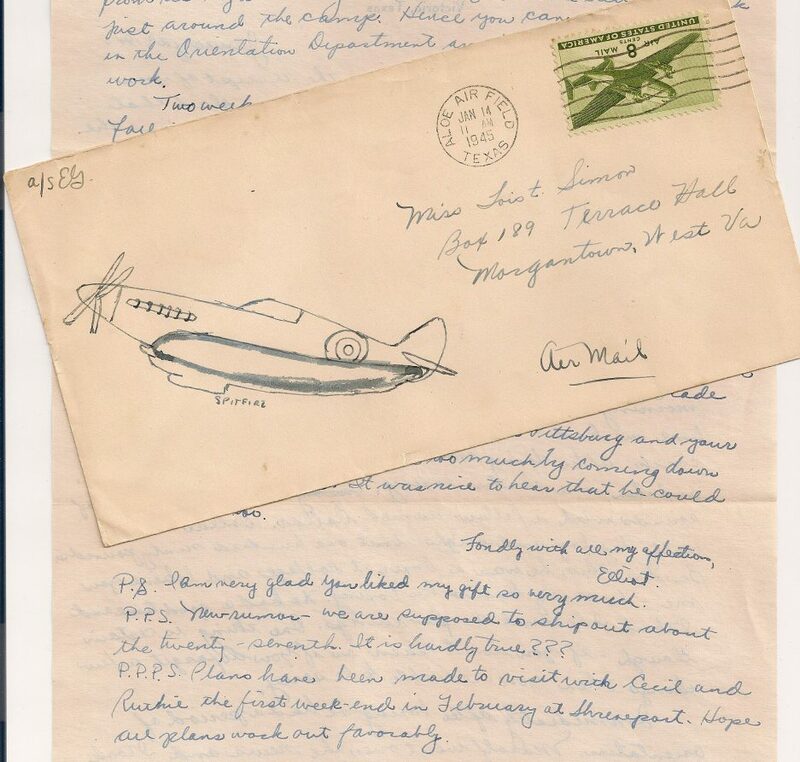 After the war, he said he received countless letters, especially from American servicemen who were readying for an Allied invasion of the Japanese home islands, conveying the message that the bomb probably saved their lives. For fascinating, silent-film footage taken on Tinian Island of Little Boy and Fat Man being readied and loaded by hydraulic lift into the bomb bays of their respective B-29s, and the rising mushroom cloud after the Nagasaki bombing, see the Atomic Heritage website at www.atomicheritage.org/location/tinian-island. It runs about 23 minutes. This site also links to Voices of the Manhattan Project, featuring interview videos and transcripts from individuals instrumental to the development and deployment of the atomic bombs.